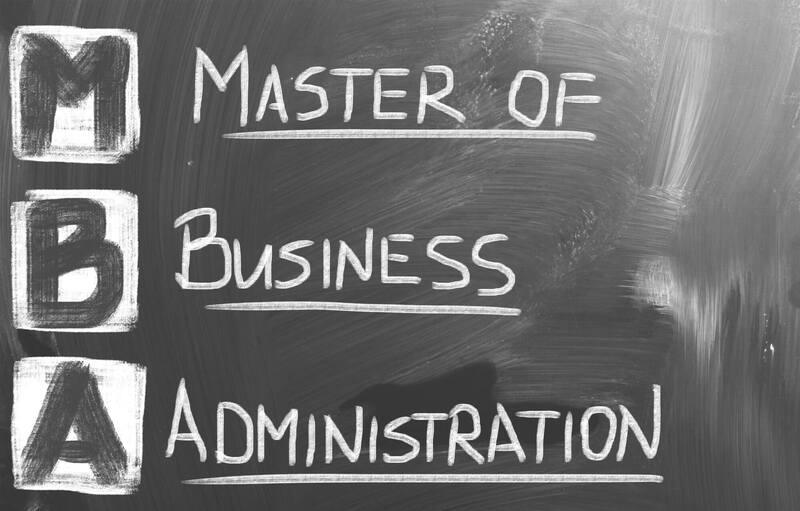 Masters of Business Administration (MBA) is quite a popular degree today. It is a post-graduate program that provides technical, logical, theoretical, and conceptual training in various aspects of business like corporate and management, IT and Finance, Sales and marketing, etc. It advances more career options and promises a brighter future for students. No wonder, getting an MBA requires a complete two-year dedication and a lot of money to complete the degree. The debate that is also making rounds along with this prestigious degree is that whether doing an MBA is worth your time and money? A lot of effort is needed to finish an MBA, plus you may also have to bid adieu to your job for the next two years, to climb the corporate ladder. Every year thousands of students finish their MBA hoping for a secure future, a stable corporate job, and a handsome salary. Your institution or university plays a very crucial role in deciding your career when doing an MBA from a top business school. If you want to make your job in the business world, then MBA unfolds a wealth of advantages for you landing you in the top management positions. However, for many this degree is beneficial, but it also has some disadvantages coming along. Let us look into the pros and cons of doing an MBA. You can quickly cover your entire investment done towards your MBA program within two years time. The average salary of an MBA is relatively higher than any employee having a regular master’s degree. You can expect a starting pay scale almost equivalent to five digits with your MBA qualification. Read the recent report by the Economics.com in the table given below for a complete MBA guideline. It discusses the major factors like salary, fee structure, and the duration of the course that will help you in analyzing your decision. Being a regular MBA student, you will get excellent opportunities to build your network. You will interact with distinguished business personals, entrepreneurs, and professionals who are experienced managers. The various internship programs that an MBA offers will expose you to the corporate culture and create managers in the making. You will be a part of that extensive alumni network where you meet intellectual business owners and learn about the current business environment. You get the chance to experience diverse culture while doing an MBA. Studying abroad can give you a taste of a new country and its diversities. Your overall perspective will broaden regarding how businesses are handled globally. You can score good grades and get hired by the top employers in the world. The work pressure is high, so you may take MBA dissertation help from online sources that can guide you in completing your MBA assignments and projects. They have a panel of experts who love to help interested students thriving to score A+ grade in their MBA. Many students go for an MBA because they dream of starting their own startups and business. MBA sets a foundation stone to that ambition and help you in turning the business idea into a reality. Your focus on becoming an entrepreneur is sharpened, and you walk in the right direction of becoming your own boss. The owners of Nike, Bloomberg, Tesla Motors are an alumnus of different MBA programs worldwide. Cost is the biggest restraint for students aspiring to do an MBA. The fee structure of MBA colleges is sky touching, and not many can afford this expensive degree. Not only the tuition fees, but the textbooks, internships, practical assignments, and other personal expenses require a tremendous financial commitment if you plan for an MBA. So, decide wisely because your money is valuable. Check out the 40 most affordable business schools in the world along with their fee structure here. A regular MBA degree requires you to devote your next two years or minimum one year completely to studies depending on your program of study. This requires a time commitment and a balance of both life and finances. If you are studying full-time, you may not have a source of income and have to sustain all on yourself. If you are working while studying, then time is your concern. You have to dedicate sufficient time to your studies even to pass. Pursuing an MBA requires an extreme level of hard work and discipline. You need a flexible boss, a supportive family, and a stable mind to achieve this degree. Read the table below to learn about the duration and requirements of different MBA programs in the world. Mark Zuckerberg the owner of the social giant Facebook is actually a college drop out. So if have plans to start your own business, doing an MBA may not be the best idea. At least the surveys and the current trends say this. The degree is considered less important today over your experience. How many years of experience do you have in the relevant field is what counts today. Remember, a business is built on strategies, planning, and a sharp mind. An MBA is usually pretty expensive; it requires a time commitment that can go anywhere between 2-6 years (depending if you’re attending a full-time or part-time MBA). Also, for that time being, if you enroll in a full-time MBA, you’ll keep yourself out of the job market. Ultimately, if your aim is to become the CEO of a company, the MBA isn’t the only path. MBA is a recognized degree that will open up immense career options for you. It is undoubtedly one gate to success, but it is not the only option available. Whatever you study, the fact that really matters is if you are interested in your field or not? Choose what you like to do, what you like to study, and what can excite you in the long run if taken as a career. Previous Previous post: Ok Google, Are You In Search Of A Business Model For Voice? Next Next post: Is Content King In SEO After All?